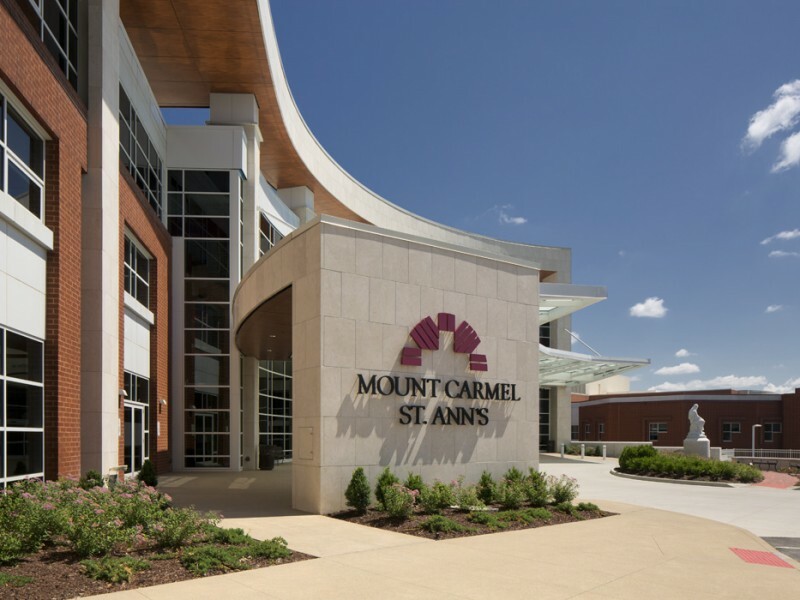 In order to expand their service offering to meet the growing needs of the community, Mount Carmel St. Ann’s Hospital embarked on a campus expansion, transitioning from a community-based hospital into a regional health center. 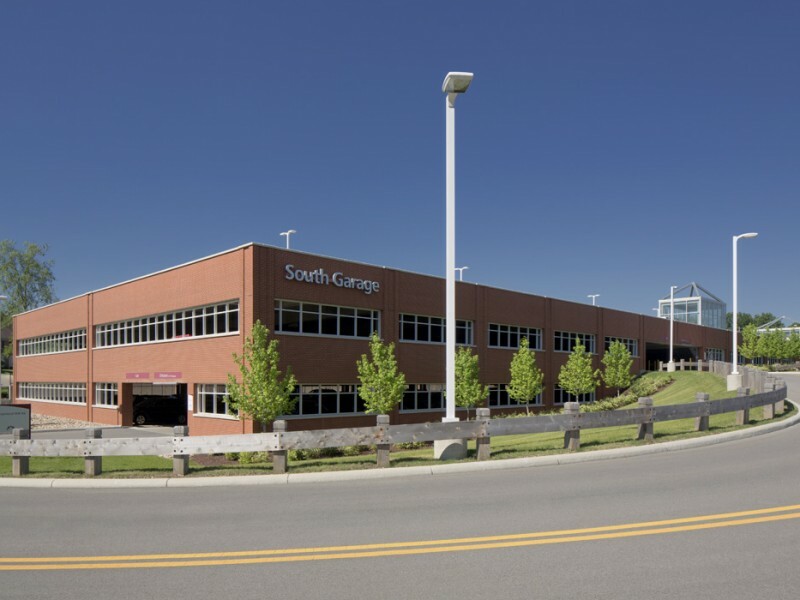 Responding to the hospital’s goals, Moody Nolan delivered a design for this project that was contextual with the existing hospital and surrounding Westerville, Ohio, neighborhood while realigning the scattered medical campus. 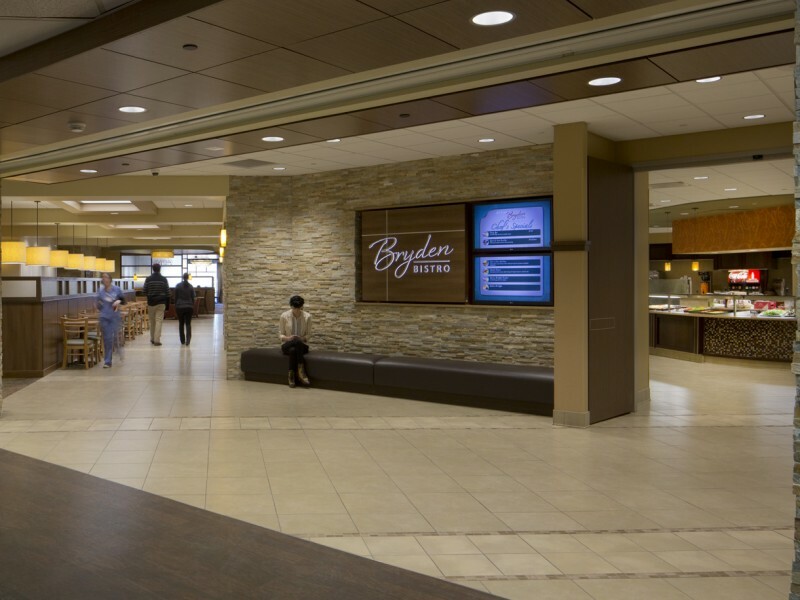 This project had five major components – a four-story, 60-bed patient tower; new main entry; dining/servery expansion; mechanical infill and a two-floor parking deck. 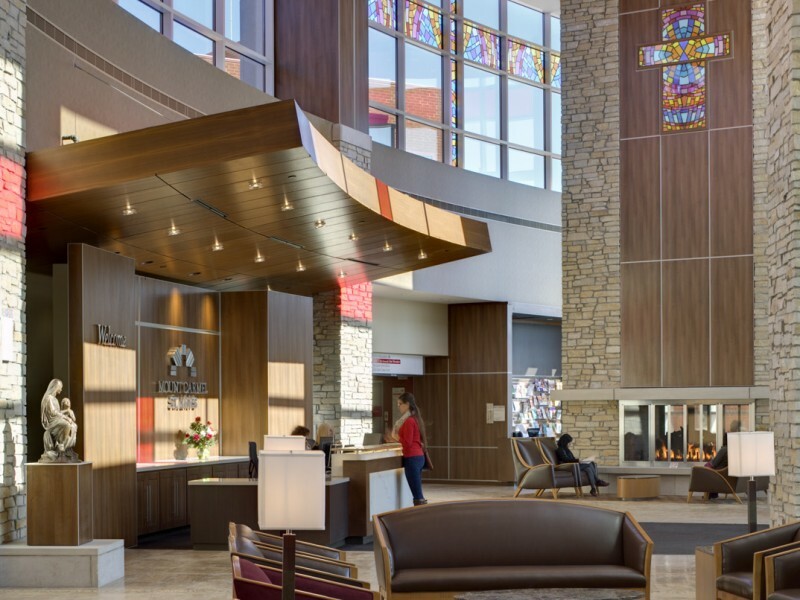 The design inspiration for this expansion draws heavily on not only the Westerville community, but also the more than 100-year history of St. Ann’s Hospital. 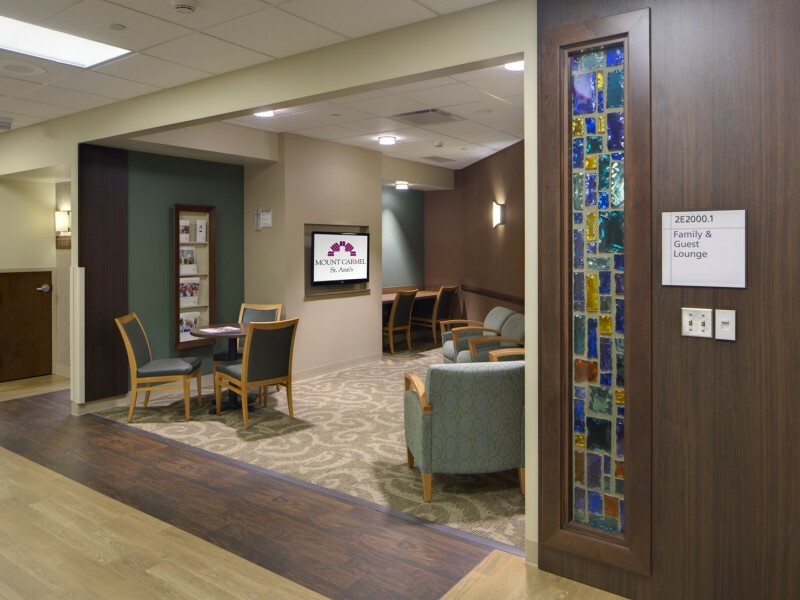 Patients and visitors are welcomed to the hospital by a new main entry. 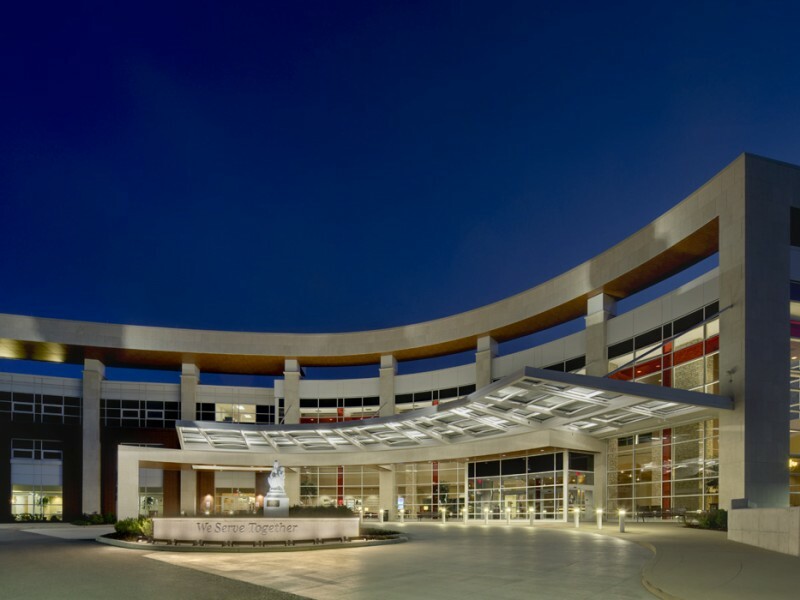 With its friendly curve and glass canopy, the new entry is designated as the defining feature for the hospital. 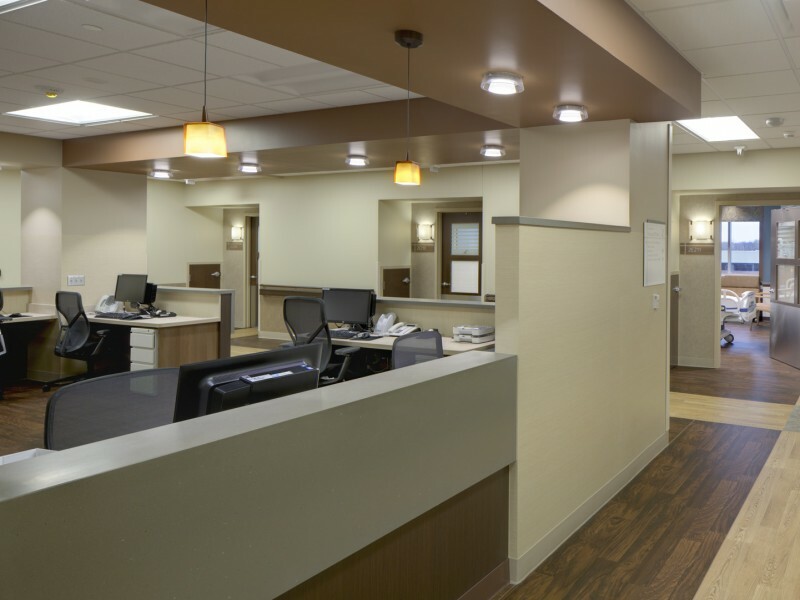 The interior of the new entry is the “Main Street” of the hospital and improves public circulation by connecting multiple existing entry points and provides a clear road map toward internal destinations. 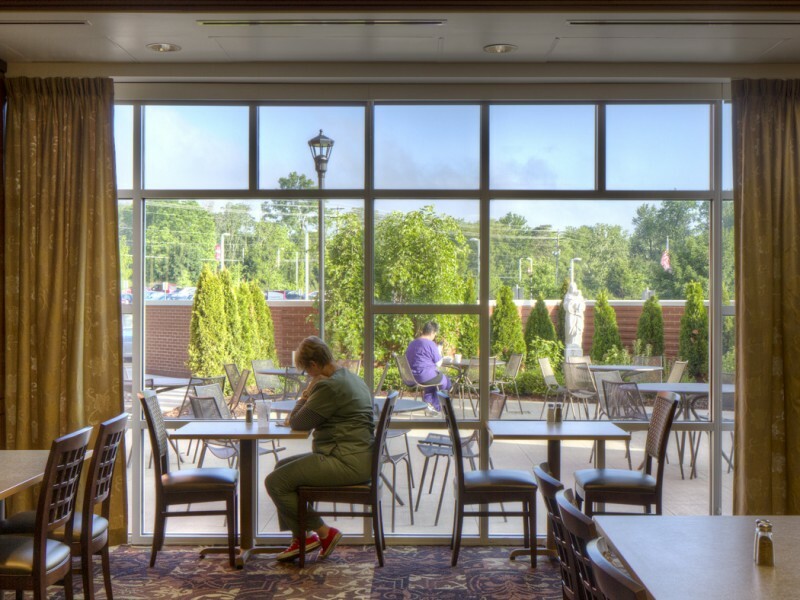 Key design features such as stained-glass windows, double-sided fireplace and baby grand piano create a sense of comfort upon arrival. 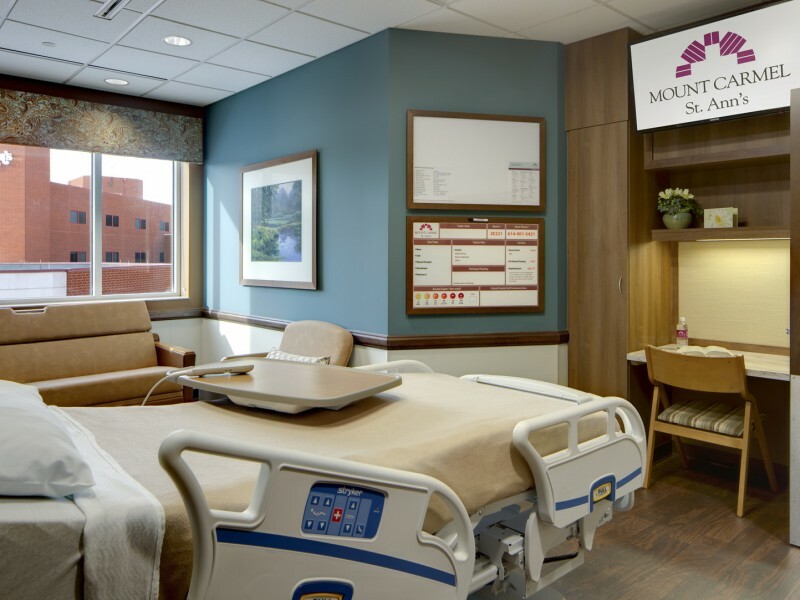 Features throughout the expansion and new patient tower include two-toned wood flooring, stone-clad walls, a warm color palette, and residential-style lighting. 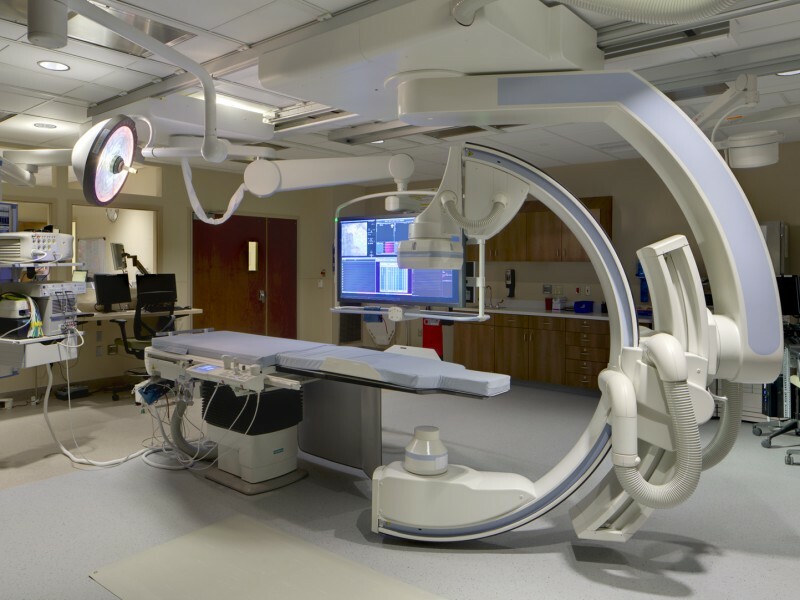 In addition to the new design elements, the new patient tower features several operational changes, including four operating rooms added to the lower-level, which also houses cardiovascular imaging and sterile processing. 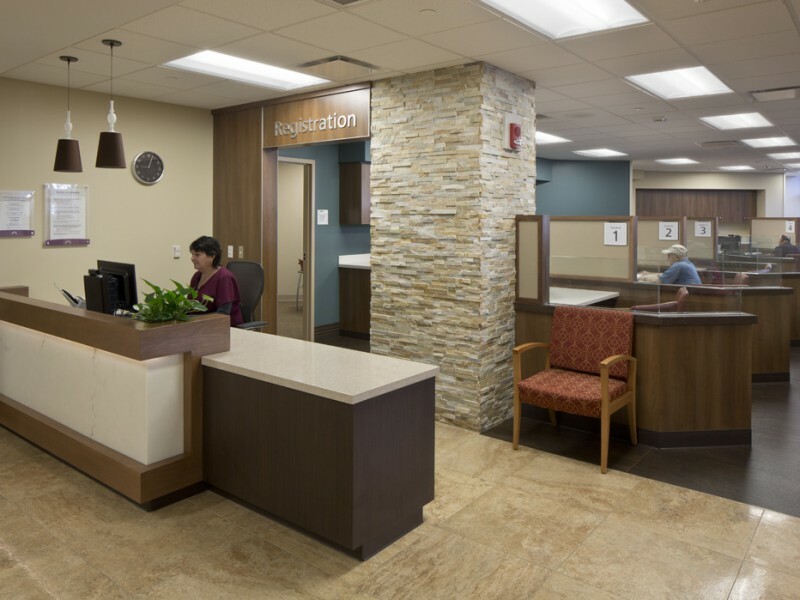 The ground level is dedicated to interventional services with catheterization labs strategically located near the emergency department.